Here’s something you don’t see every day, and by that we’re talking about the car, never mind the crazy action we’re witnessing in this video. The car is a Smart Crossblade, and if you haven’t heard of it, that’s okay. 2,000 were built back in the early days of the Smart’s production, and none ever made it to U.S. shores. It has no doors, no roof, no windshield – or rather, no conventional windshield – and for a Smart car it has a lot of cool factor. Even the interior is weatherproof. That’s a good thing since these adventurous chaps decided to take this Crossblade through an automatic car wash. We don’t have much context here, aside from this particular car apparently doing duty for the Gumball Rally. The stickers on the car reference the 2015 run from Stockholm to Las Vegas, so either this video is three years old, or the Crossblade was never de-stickered after the run. 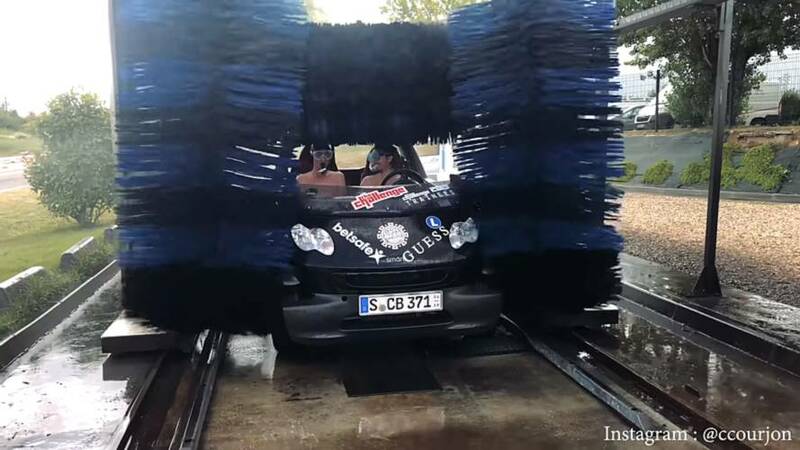 In either case, the car gets a thorough washing along with its two passengers in a manner not unlike the glory days of Jackass on MTV. It looks uncomfortable to say the least, but hey, they have goggles and snorkels so everything will be okay, right? 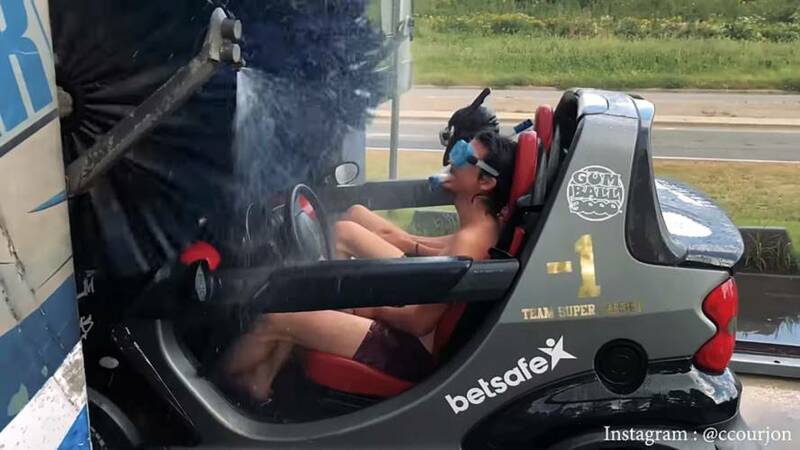 We’re not entirely sure how snorkels would actually help people breathe in this scenario – it seems they would just funnel water into the occupants’ mouths but nobody died, so obviously it worked. In fact, the worst part was apparently the cold water; the occupants said the brushes didn’t hurt at all. We’re not ready to go bombing through a car wash in something with no protection from the elements. Thankfully we have people like these two brave souls who are willing to push the boundaries of human endurance – and perhaps human dignity – for the greater good.